10.4" SVGA color touch-screen display, sophisticated array of real-time measurements, 100 baseT, PCI expansion slot, USB, SVGA output, PC audio in/out, mic in, RS-423 and parallel interfaces and integrated Windows PC. Standard active IntelliProbe interfaces. 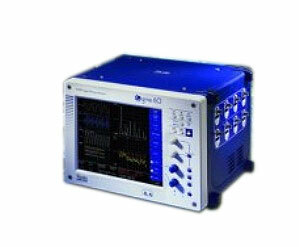 Includes four channels of 10MS/s, 12-bit digitizers, 5MHz bandwidth, 200kS/s memory per channel. Software switchable to 2 channel differential.